So, here I go to try to set the record straight, to give you some of the "new truths" about natural Vitamin E and to ask a big question about something that confuses me. PS. If you read my article on How to avoid the myths and find the best Vitamin E oil for your skin, you will see that I touched on some of these truths there too. Food sources of Vitamin E include like carrots, avocados, cauliflower, blueberries, almonds and grapes. It is especially prevalent in oils. Highest concentrations are found in wheat germ oil (up to 15%), sunflower oil and safflower oil. Lower concentrations are in oils like corn and soy. Now, that sounds very straightforward. What’s new about that? Well, it’s because many people are only now starting to remember that vitamins come from food. They don’t come in pill form from the pharmacy! It was during the early part of the 20th century that vitamins were discovered. For example, Vitamin E was discovered in green leafy vegetables in 1922. Researchers at Yale found Vitamin A in butter in 1913. Shortly after these discoveries, scientists started isolating what they called the active ingredients, and making synthetic versions of them. From about the 1940’s, two branches of vitamin manufacturers developed. One branch favored "isolates" – ie single elements, either extracted from their fruit or vegetable source or made in a laboratory. The argument for this was that the chemical structure of a synthetic was the same as from a natural source. The other branch followed the "whole foods" route, based on the theory that vitamins never occur as single elements in nature. A well-known holistic nutritionist at the time, Dr Royal Lee, made the comment that the problem with synthetic vitamins was that they were too pure. They were single elements without all the cofactors or "synergistic helpers" found in whole foods. 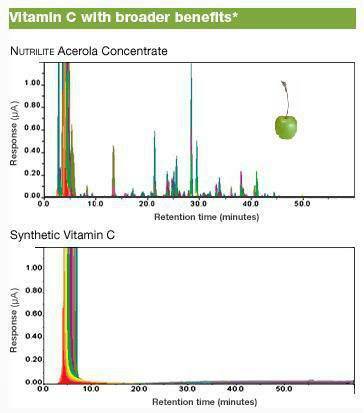 We can see this when we look at the result of an analysis of synthetic ascorbic acid and Vitamin C made from acerola cherries. The two peaks representing Vitamin C are identical – but you are getting so much more when you have the whole food version. Dr Lee, all those years go in the 1940’s went on to say: "No reasonable student of nutrition can today deny the axiom that all vitamins are complexes and cannot exert their normal physiological effect other than as the complete complex as found in natural foods." So, if you’re wondering what is "natural vitamin E", this is the first part of the answer. The chemical structure of Natural Vitamin E is a complex, with more than one element. I wonder why we forgot this? Vitamin E so clearly demonstrates Dr Lee’s assertion that vitamins are complexes. 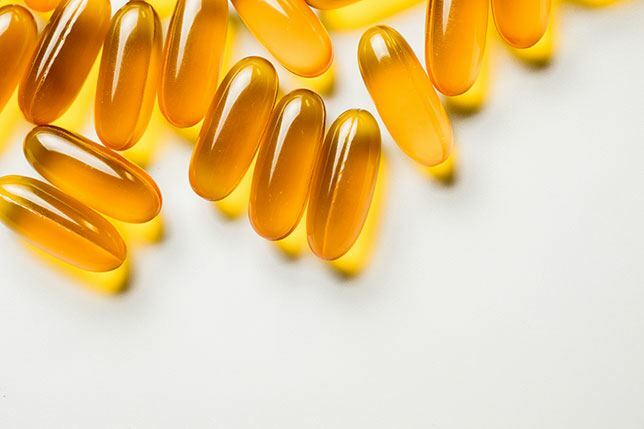 Vitamin E derived from natural sources can come in different combinations of the eight different compounds – but never with just one on its own. A balance of all eight optimizes its antioxidant function. Generally, all four of the tocopherols will appear together or all four of the Tocotrienols, in varying concentrations. 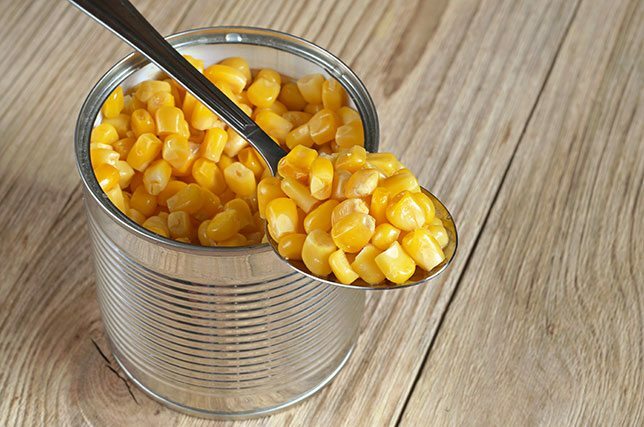 Tocopherols are found in corn, wheat and soybeans, whereas tocotrienols is in barley, oats, palm, and rice bran. So, this may give us a further part of the definition for "natural vitamin E" as vitamin E containing more than one of the 8 tocopherol and tocotrienol compounds. The tocotrienols are 40 – 60 times more powerful as antioxidants than the tocopherols. One of the claims about Vitamin E is that it fades age spots and lightens skin. Studies show “Vitamin E” without gamma and delta tocotrienols will have no effect on age spots or hyperpigmentation. We’ve got used to seeing "d-alpha-tocopherol" on labels and reading that as Vitamin E. Now we know that it is just one form of vitamin E, in an isolate form. (See, I told you we’d be learning some new truths!) Many have believed that only alpha-tocopherol has health benefits – but that was before the research started into tocotrienols! Only 1% of all research done on Vitamin E has been on tocotrienols – and most of that only in the past few years. There have been several research reports that pointed to Vitamin E being bad for you – eg one study showed that Vitamin E increased the risk of prostate cancer. However, if we check the research, we find that a version of Vitamin E containing only alpha-tocopherol was used. We now know that alpha tocopherol has no anti-cancer properties. The most anti-carcinogenic properties are in the gamma and delta forms of both the tocopherols and the tocotrienols. Even worse, in some cases the synthetic form of alpha-tocopherol was used – and we know there’s not much in that. 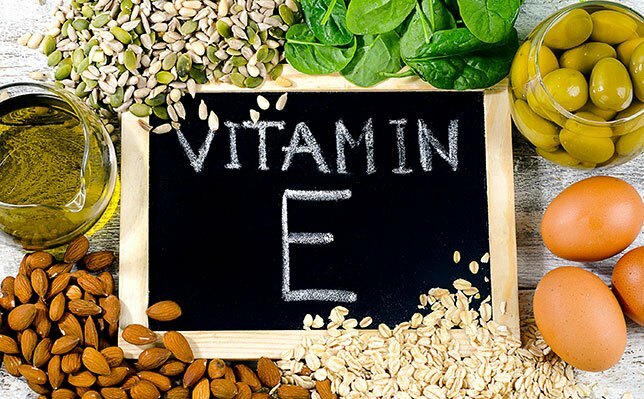 Eventually, researchers found that if the natural form of Vitamin E was used – ie with more than one of the compounds together - the so-called bad side effects did not happen. Your body recognises natural forms of Vitamin E. Because of this, natural vitamin E has twice the bioavailability of synthetic tocopherol. This means that the body is better able to use the natural forms. Well, firstly, synthetics can be very expensive. If you are taking a synthetic supplement you will have to take 3 times as much to get the same benefits as a natural version. This was proved in separate studies at East Tennessee State University and in Japan. A cosmetic study showed that you would need at least 20% concentration of tocopherol-acetate in the cream/lotion/oil you are using if you wanted to increase the Vitamin E levels in the skin. Natural can be effective at 5%. Some synthetic forms have only 2% of the biological activity of natural alpha-tocopherol. Topical Vitamin E protects skin against sunburn, suntan and skin cancer and reverses the mottled pigmentation and wrinkles of photo-ageing. However, this must be a natural form of Vitamin E. The synthetic versions don’t have the same effect. Natural forms of Vitamin E are generally labelled as d-alpha-tocopherol. Synthetic is dl-alpha-tocopherol. If neither the d or dl are shown, it may be wise to think that you are dealing with a synthetic – no matter what the other claims on the label are. Sometimes, when a chemical has been added, the word tocopherol may be changed to tocopheryl – so look carefully at the label if you are looking for a natural version. You need Vitamin E to fight all the pollution we are surrounded with, and so to fight cancer and other chronic diseases. It’s important for the development of red blood cells and for heart health. Deficiencies are associated with dysfunction of your immune system and impacts brain health. Vitamin E deficiency is particularly dangerous for pregnant women and small children. A 2012 study in Germany, the UK, The Netherlands and the USA, found that >75% of the population in the USA and the UK did not meet minimum vitamin levels. You can see this in the score card below. Vitamin E deficiency levels are just as bad: A study published in 2016 in the International Journal for Vitamin and Nutritional Research showed that only 21% of the general population had sufficient levels of Vitamin E in their blood. And this study was only for alpha-tocopherol, so who knows what the levels are for the other forms of Vitamin E! In the USA, the estimate is that 90% of the population do not get enough Vitamin E. In fact, most get less than half the recommended dose. So, what about you? Are you getting enough Vitamin E? The recommended daily allowance for people over the age of 14 is 15mg per day, (or about 22 iu). Some experts believe that you should have significantly more than this – anywhere between 400 iu and 1000 iu per day. Remember that this will really help you only if you are getting this Vitamin E from a whole food source. So, eat an avocado pear, put some butter on your sandwich, make sure there is organic wheat germ in your breakfast cereal. You might need to use a supplement. If you do, I suggest you run away from synthetics and isolates. Look for a whole food source. It may cost more, but you might decide that your health is worth it! Why is there so much anecdotal evidence for some uses of Vitamin E that have no basis in research? Yet marketing companies claim benefits and users say that they are getting good results. Are these myths or is there another "new truth" that we don’t know about yet? Here’s what I think the answer may be, but we’ll have to wait for new research to prove it. Most research to date has been around the effect of alpha-tocopherol (in isolate form and often synthetic). The results are saying that this form of Vitamin E is not effective. However, the research did not check on how effective the other 7 forms of Vitamin E might have been. And, especially, very little has been done to check how effective the tocotrienols might have been. Our health is in our own hands. It really is up to us to pay attention to what is going on and not to simply rely on marketing messages or easy-to-read blogs with no researched substance! Natural Vitamin E is not just good for you – it is essential for your health and your skin. You probably need more than you are currently getting! I looked online for Vitamin E whole-food supplements and cosmetic oils from natural sources. I was glad to see that there are some products available – but I also realised how carefully you must read! So, I recommend that you also look at the brand websites to get more information.